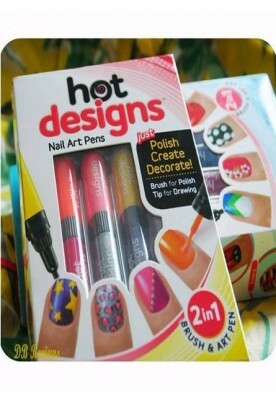 I am sure many of you would have used or heard of nail art pens. I am a novice when it comes to nail art. 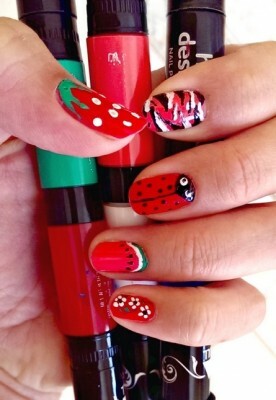 While I love painting my nails, I have never really tried any sort of nail art. I did once order some 'Dotting Tools' for nails. These were said to assist you in making fancy nail designs but I just did not get the hang of using them. And then I came across a pretty cool product from called - Hot Designs. Each color comes with a brush end and a fine metal tip. While the brush is used as you would use a normal nail polish brush, the metal tip is what helps you draw those beautiful designs.